X11 is needed to run some FOSS apps like Gimp.app , Inkscape.app or OpenOffice.org. How To Install_X11_Tiger 3.0M H.264 1'07"
Running OpenOffice.org without X11 icon only bounch twice in the dock and then disappear. You need administrator's rights to perform the X11 installation. If you are running OS X 10.4 (Tiger) PPC or Intel you find it in your Install Disk. 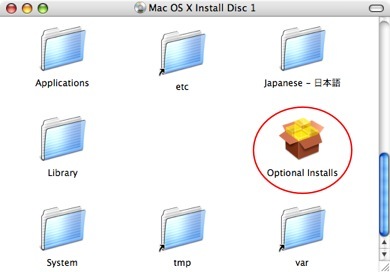 Insert and open Mac OS X Install Disc 1. Double clik on Optional Install. After accepting license select Applications -> X11 and then click on Update button. 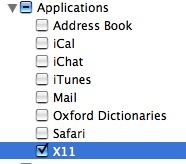 At the end of installation you will have X11 icon in /Applications/Utility folder.